On Saturday, October 27, 2017 the Greater Riverview Chamber of Commerce (GRCC), along with the Hillsborough County Sheriff’s Department and Hillsborough County Parks and Recreation hosted the 30th annual Trick or Treat Street. The highly regarded event was once again held at, and generously supported by, Riverview High School. The event’s new (started in 2017) afternoon timeframe and the perfect weather played a big role in this year’s large attendance. There were over 70 booths/activities on hand to keep the crowd busy and entertained, including some great food options and exciting inflatables. Thanks to the great Jack-O-Lantern Sponsorship by Pediatric Associates Tampa Bay guests were welcomed into the Candy Line via a fantastic display including Willy Wonka himself. Their efforts paid off when they were awarded the trophy for Best Overall Booth Decoration. Children were provided bags by Pediatric Associates staff members to continue collecting their candy and loot throughout. They were also instructed to check their bags for special “golden tickets”. After passing beyond the Wonka booth, the trick or treaters proceeded past the Dracula Sponsor’s booths and on to an array of other booths representing everything from pirate ships and super heroes to haunted walk throughs and even Día de los Muertos (Day of the Dead). These were all hosted by the wonderful members of Greater Riverview Chamber of Commerce. There was a brand-new sponsor this year for the Kids Costume Contest. Uptown Suites, a new extended stay hotel coming to Riverview this year, served as the Goblins and Ghouls Sponsor. Children’s costume contests were held in four age groups from 0 to 15. The judges for these contests were delighted to see the many adorable, and some frightening, costumes that were created. 1st, 2nd and 3rd place winners in each group were awarded great prizes including cash and trophies. Dr. Kim Tyson of Four Paws Veterinary Hospital once again sponsored the Dog Costume Contest. Prizes were also awarded to these adorable winners. Proceeds from the Dog Costume Contest went to Critter Adoption and Rescue Effort, Inc. (C.A.R.E.). 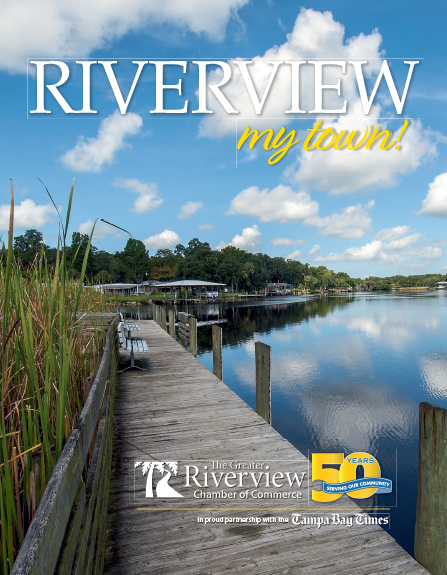 This incredible event is just one way during the year that Greater Riverview Chamber of Commerce is able to fulfill its purpose of creating a family environment that assures the success of our community, our businesses and our members. Over 100 Chamber members including local businesses, churches, and organizations, came together to make this event possible. Co-Chairs for the event, Marijean Reith, TEAM REITH - RE/MAX Realty Unlimited and Jerry Rothstein, Keep I.T. Simple Computer Services, want to thank everyone who played a part in making this day a great success. To view event photos, please visit www.riverviewchamber.com or visit The Greater Riverview Chamber of Commerce on Facebook.